"September 13th 1999- The Moon is blasted out of Earth's orbit by a nuclear explosion and hurled into deep space, taking the inhabitants of MOONBASE ALPHA with it on a fantastic and perilous journey!" 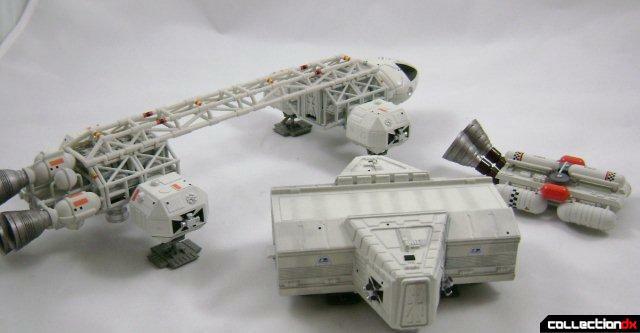 Gerry Anderson's line by Product Enterprises actually released some items that Aoshima seemed to have released earlier on. 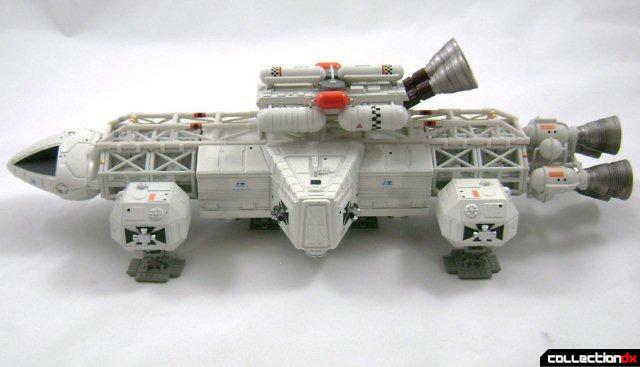 From UFO interceptor to the full line of Space 1999 Eagles, all were maybe just repackaged and then sold from 2004-2006 ( I think he won some court battle or something?). 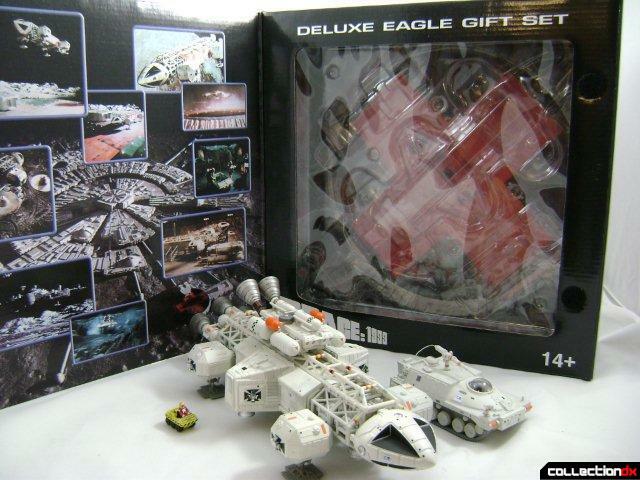 This review is for the DELUXE EAGLE GIFT SET. 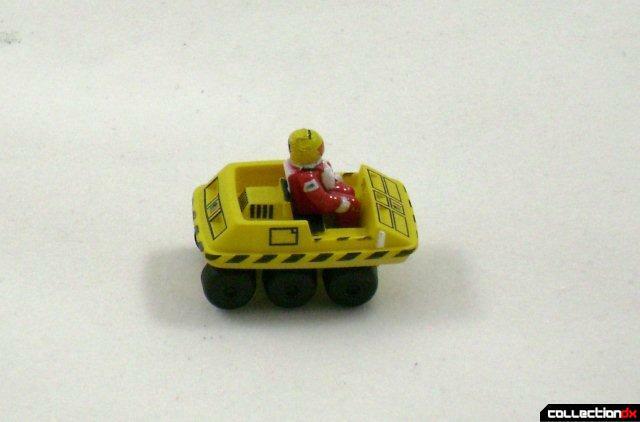 The set comes with the Laboratory version of the iconic Eagle with booster rocket, Laser Tank, and Alpha Moon Buggy, all of which lay in a one piece plastic tray. The box is hard cardboard black, with great graphics and can be broken down into a landing pad (which I will never do...), and has a nice description of the show on the back. 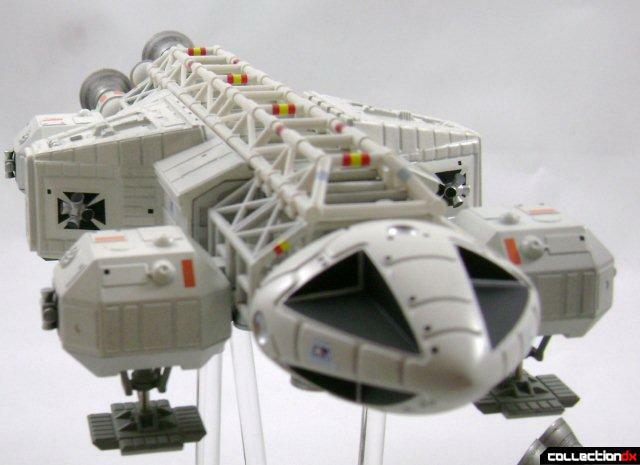 The Eagle breaks down into the basic frame and pod (which equates to different versions). 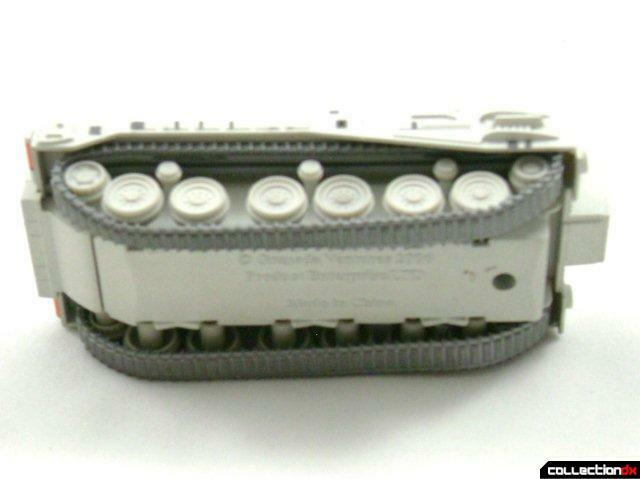 The pod is all die cast and spring loads into the PVC Eagle frame (everything other than the pod and head are plastic). 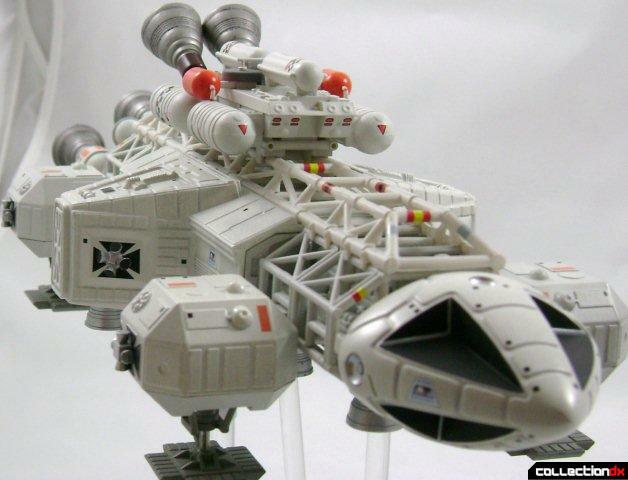 The vehicle has a great feel and heft, and the frame locks well into the metal pod, creating a strong and not easily broken feel when together (apart, the frame of the Eagle feels weak). 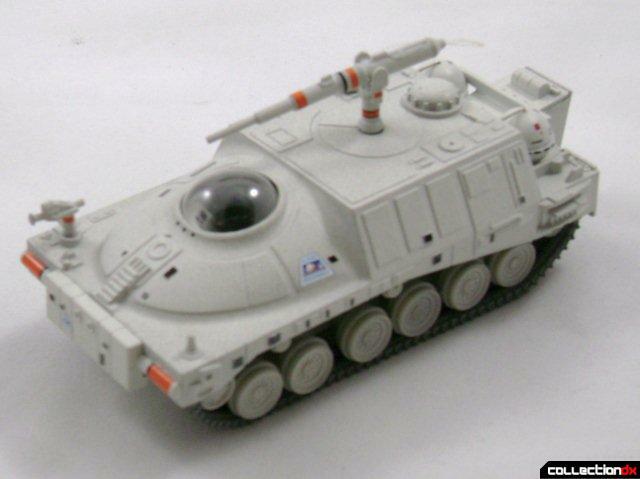 The Laser Tank I don't recall from watching the show, but it is well crafted with a movable turret, metal detailing, and rubber treads. 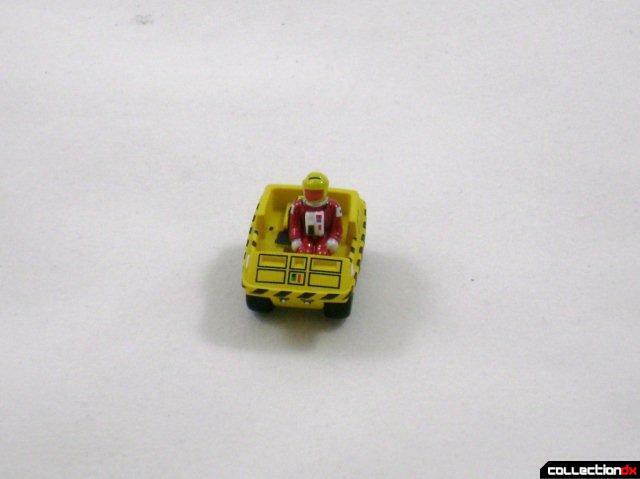 The Alpha Moon Buggy is like half an inch long, but has amazing detail and seems to be scale with the Eagle... but don't hold me to that! 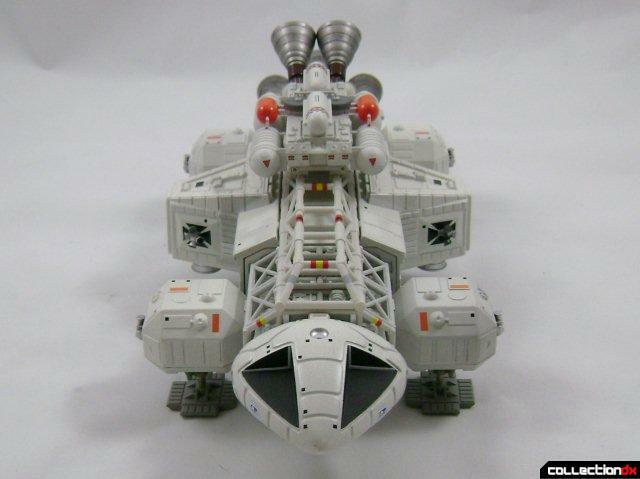 I love the whole line and am inspired by the look of Space 1999 Eagle's. 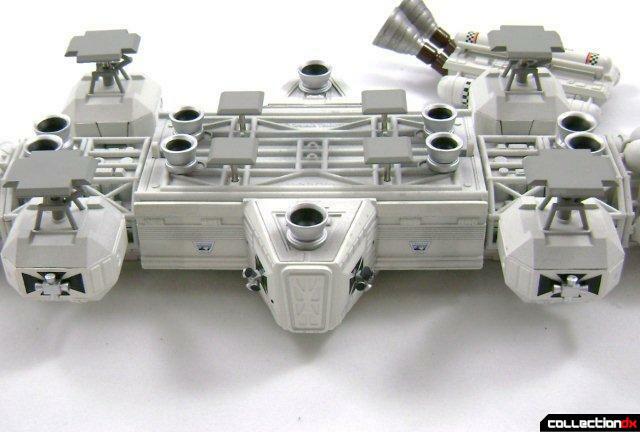 The detail is wonderful, with the legs and boosters showing, nice edges, and the cool frame workings. 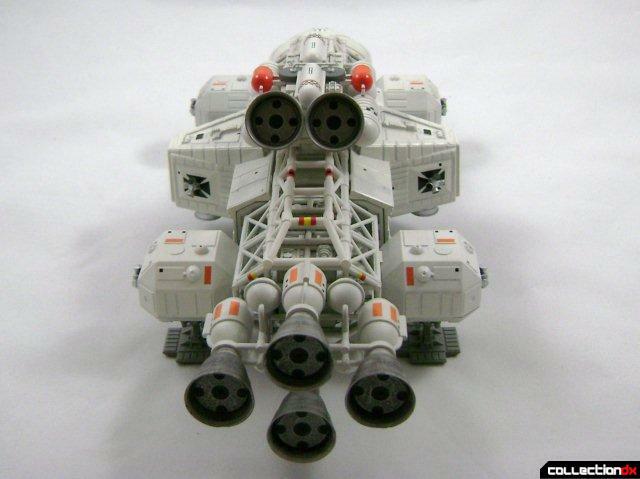 If you remove the booster it still looks great. I love this set and am glad I bought it. In 2008, two years after it came out, I got for around $150 including shipping, but seems to go for more now. Wish I had bought them all (especially the regular version)! 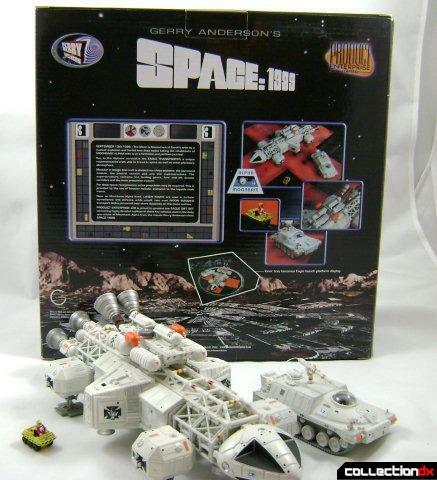 This show was a staple of my Sunday night TV watching and I love having a reminder in my collection...thank you Gerry Anderson! 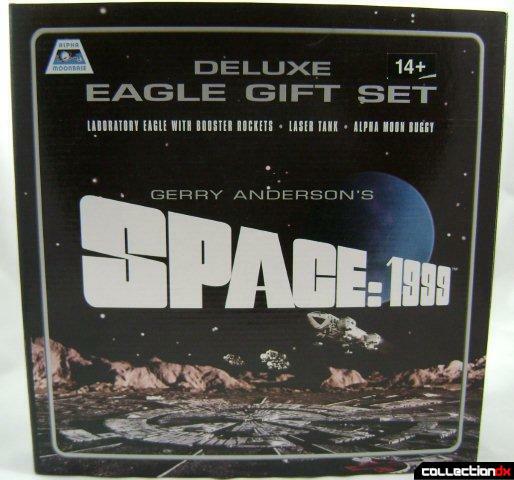 after buying the dvd, the show wasn't as great as I remembered it but I love the eagle. Great review. I bought the A&E full set, have to say, it is weird, I actually think they held up ok. stupid plot lines, poor special effects, and over acting...but somehow still liked. The retro 70's look to everything...even all the aliens was kind of cool. I had no idea what the hell Gerry Anderson was thinking. Making a overly-funded, weekly live-action space spectacle was financially dangerous. It got him bankrupt, it got him in debt, it got him a divorce, & it made Martin Landau look bad. That show would've probably been successful if it were filmed in SUPERMARIONATION. Didn't he eventually sell off all his licensing? 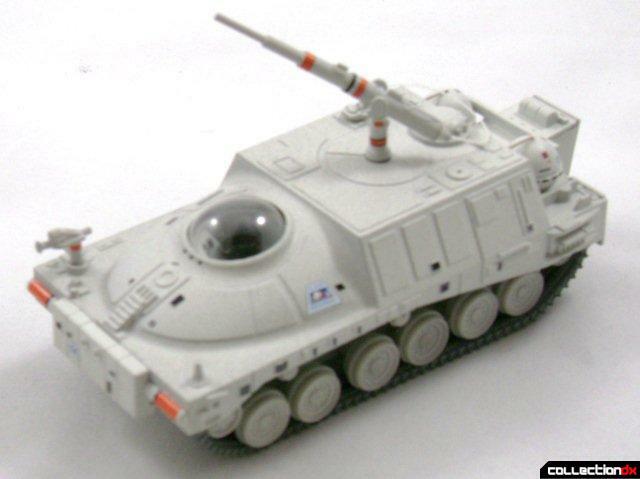 I really miss his shows, the vehicles are some of the best in all Sci-fi!